Android provides apps in many different fields according to user requirements. Android provides spy apps to keep track of our friends, relative, employees etc. Android spy apps can be used for security or tracking purpose. These apps can also be used for business purpose. We can easily track our employees phone location and the route they follow. Spy apps for android can also be used for backup purpose. We can easily backup our phone data like call logs, contacts, messages etc on our registered email. 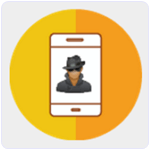 Install these app to target phone and spy their messages. With the help of these apps we can easily take photos and videos without camera preview and sound. We can also customize our camera settings to take photo or movie when detect smiling faces etc. We can also take photos remotely from our camera. In this Article we are going to explain about the best spy apps for android for various security purposes. List Of Best Spy Apps For Android. 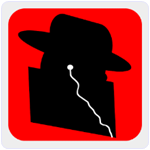 Xnspy is one of the top spying apps for Android. It is a combination of basic and advanced spying features. It lets you monitor text messages, call logs, instant messenger chats, email, internet activities, track location, control the phone remotely, record calls and surroundings, take screenshots and a lot more. The app is lightweight and it works in complete stealth mode on the target device. The web account from where you monitor the activities has a user-friendly interface. It works on Android version 4.x, 5.x, 6.x & 7.0. It is a fast, intuitive and a reliable android monitoring software. 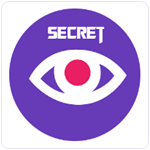 Secret Video Recorder is awesome Android App in the list of Spy apps for Android. 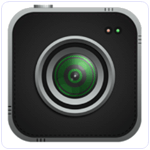 We can easily record and capture Photos without any sound and we can also stop camera preview during recording. It can also record during calling. It also provide option for SMS recording, schedule recording etc. It is a light weight Android App which require Android 4.0.3 or higher version. Approximately 1 million user download this app. 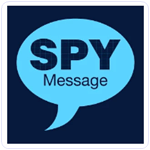 Spy Message is wonderful app in the list of Android Spy apps. We can easily send the secret messages to our friends and anyone other. We can easily set a timer to delete our messages automatically without leaving a trace. We can also set our friend list and easily customize it later with whom we want to share secret messages. It has a simple and user friendly interface. Approximately 0.5 million user download this App. It is ano ther high rated Android app which has a rating of 4.6 on Google play store. It provide features like GPS kids tracking , anti theft, GPS locator etc. We can easily listen the phone calls, view phone contacts, apps uses and photo taken. It is light weight Android app with easy to use interface. It requires Android 2.3 or higher version. Approximately 50 thousand people download this app. Spy is another famous Android app in the list of Spy Apps for Android. It has a rating of 4.1 on Google play store. No one is able to notice us when we capture a picture or record a video. This app has no camera preview or no capture sound. We can easily customize the settings to capture or record a video after detecting smiling face and choose camera front or back. We can also capture remotely videos from our mobile with a secret message. Approximately 0.5 million user download this App. 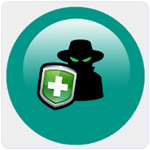 It is another good choice for Android spy apps to enhance our privacy. We can keep our calls hidden from others. We can easily add the phone number to our contact list whose call record we want to delete. It is easy to use software with awesome graphics. It is compatible with Android 2.3 or higher version. Approximately 0.5 million user download this App. Test Monitor is another Famous Android app in the list of Spy apps for Android. 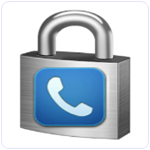 We can easily backup our phone messages, call logs and mms on our email. We can also read our phone messages and read call logs when our phone is not present with us. We can easily spy the target phone just by installing this app on the target phone. Approximately 50 thousand user download this App. 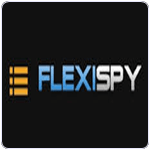 Spy My Phone is most reliable and featured Android app. It is an easy to use Android app with awesome graphics. we can easily backup our call logs, Contacts, sms, notes and location with this app and export them to our email address. We can easily hide the application with a single click and get back by dialing only #000777. We can also convert our call logs, contacts, messages into excel file. Approximately 0.1 million user download this App. It is another amazing App in the list of Android spy app. It is a light weight android app with easy to use interface. 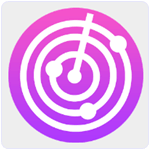 We can easily track anyone location using this app. Download this app in your phone and also ask your friend or employee to whom location you want to track. We can also add our contact list to see other user of this app. Approximately 0.1 million user download this app. It is an Android monitoring app through which we can take full control of Android devices through computer. We can easily spy voice calls, GPS location and can also record phone calls through web interface. This app can easily run in background and foreground. We can easily read all the SMS messages, send fake messages, track phone passcode and much more. It provide easy to use interface and attractive graphics. It is another best Android app in the list of best spy apps for Android. We can easily listen the talks of other people using this app. We can use a Bluetooth headset to listen the other people talk by leaving your phone. We can easily become a detective using this app. This app capture voice using phone mic. Approximately 5 million people download this App. In conclusion, we hope that you use your proper judgement while using these best spy apps for android. Make sure you do not cause any trouble to harm somebody. Respect privacy of individuals. Share what u think with us in comments below.